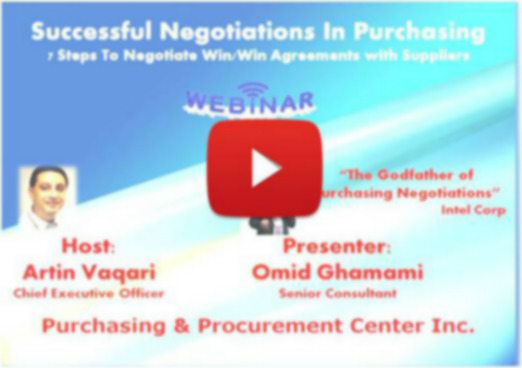 Why Advanced Procurement Negotiations is Must Attend? Mark Trowbridge - CPSM, MCIPS, Lifetime CPM, is a highly skilled trainer who has achieved remarkable success in negotiations. 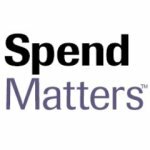 In his 30 years plus in the profession Mark’s has held senior positions in the Financial, Airlines, and Manufacturing sectors; culminating as Director of Sourcing & Contracting Management for Bank of America, where he achieved over a quarter Billion dollars savings! Full of dynamic instruction, with over 10 interesting case studies, interactive group exercises and ready-made to use templates, checklists and examples, plus 2 in-depth role plays - 1 each day. 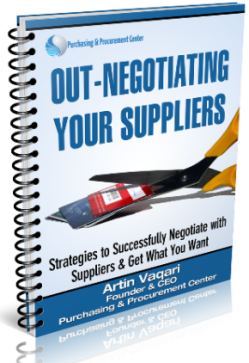 Both our procurement and line-of-business owners enjoyed the excellent training … [on] Advanced Procurement Negotiations … very-positive feedback from the participants, with the average post-training survey score being 4.5 (out of 5.0 possible points). We especially enjoyed the practical examples and role-playing exercises used to illustrate the training concepts being taught. 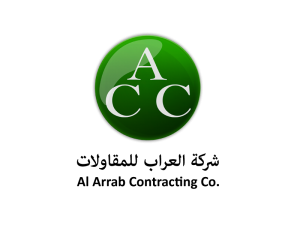 Excellent use of case studies – Real life problems. 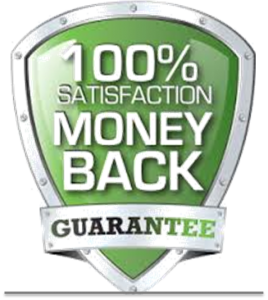 The workshops took on the actual feeling that I was selling/buying – valuable information was derived especially on the selling side – which I am not accustomed to. Great job guys! Team exercises were helpful to get other negotiation techniques. … class was excellent! Would recommend to other organizations. .. excellent trainer! Mark is a winner! ... I like most that Mark was able to explain complex subjects in an understandable manner. Keep it up. 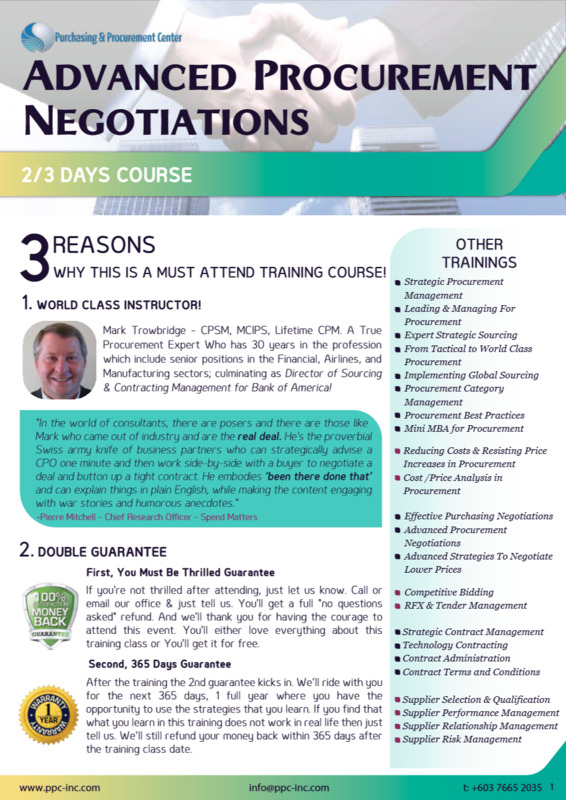 This training program is consistently praised by participants for teaching & developing advanced negotiations skills for procurement professionals. Mark's real life stories were very illustrative. Really enjoyed the instructor (Mark) & his style of teaching. His stories were the best part - very relevant as examples to whatever topic that we were on. Thank you! No fluff, no theory, we’ll unearth practical and usable advanced strategies, tactics, concepts, techniques and examples which Mark used in his corporate sourcing leadership roles. The sessions include a mixture of instruction, group case studies, interactive dialog, and…multiple “real world” negotiation role playing exercises. Includes a thorough 150+ page training manual that provides insights, examples, and tools inherent in the curriculum.